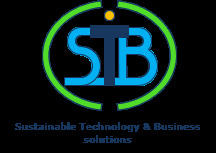 Clean Technology Systems Benelux is established by STB solutions and Busser Beheer in cooperation with Dürr Systems AG to deliver sustainable solutions to industries in the Benelux. The products and services of the Dürr division Environmental Technology are at the core of the solutions we can provide. In addition, Clean Technology Systems Benelux can provide strategic business consultancy and project implementation services related to the technology solutions of Dürr. He will be glad to answer all your questions.